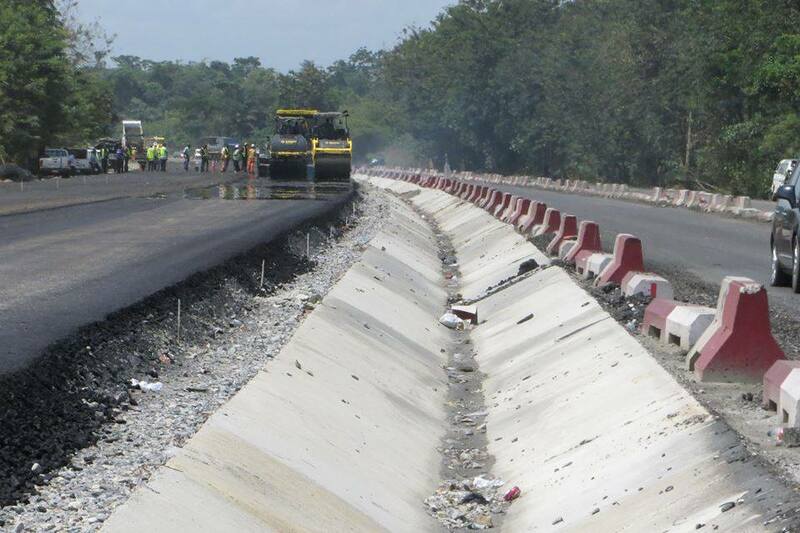 Lagos-Ibadan Expressroad: Completion Date Shifted To 2021 - AutoReportNG "AutoReportNG-The No 1 Car Blog In Nigeria That You Can Trust - AutoReportNG"
According to The Punch Newspapers, It is disgraceful that the deadline for the completion of the Lagos-Ibadan Expressway has been shifted to 2021. Work resumed this year, but Julius Berger, the contractor handling the Lagos-Sagamu intersection end of the highway, has now dashed any hope of its completion anytime soon. Citing lack of funding and additional designs, it stated that the December 2019 completion date was no longer feasible. This is a severe blow. It betrays a spectacular lack of understanding on the dynamics that underpin a country’s socio-economic development by the Muhammadu Buhari administration. Being Nigeria’s most notable road asset, the news of the postponement for another three years is devastating for the users. With a vehicular traffic of 25,000 per hour, the Federal Road Safety Commission says it is the busiest highway in the country. Ordinarily, this pivotal element ought to have compelled the Federal Government to expedite action on its reconstruction. That it did not, portrays the government as bewildered and unable to get its priorities right. The parliamentarians have continued to play petty politics with such a critical economic livewire that connects Lagos – Nigeria’s commercial hub – with other regions of the country. Although Kabiru Gaya, the Chairman of the Senate Committee on Works, pontificated about the delay when Julius Berger officials told the senators about the 2021 completion during their latest oversight visit, that trip was all about playing to the gallery. Interestingly, in the 2018 budget, the National Assembly unilaterally knocked off an aggregate of N11.5 billion from funds allocated to some capital projects, including the Lagos-Ibadan Expressway, the Second Niger Bridge and the Itakpe-Ajaokuta rail project. Consequently, there is daily gridlock on the route these days, creating chaos, helplessness and insecurity. That the government is not mindful of this mayhem and is proposing 2021 as the new completion date is baffling.